This post is also featured on Stenhouse’s blog. For a while it was popular in educational circles to talk about “time on task”. In some circles it still is. But, as many have noted, children are always on task; the important question is, what is the task? My school faced a dilemma last spring: The grant for our after school reading intervention had run out. This also included our A.M. and P.M. study centers. Many of our students and families utilized these services to get extra academic support and to provide supervision for children whose parents worked early or late. We had a captive audience in those who attended, but no resources left in which to captivate them with, or so I initially thought. As I prepared our final report for the grant, I noticed a pattern. Students who attended the structured, computer-based reading intervention after school did not make gains when compared to their peers. Students who attended the morning and after school study centers, with minimal educator support, showed more growth than their school peers. It was a small sample size, but results nonetheless. Around the same time, I came across Peter Johnston’s post “Reducing Instruction, Increasing Engagement” on Stenhouse’s blog. In it he describes a study he conducted with Gay Ivey in a secondary classroom. Students were given edgy fiction and few expectations, other than to read the books and discuss them with classmates. They took control of their learning, selecting texts based on their interests and communicating with each other about what they read. Subsequently, their tests scores went up and their social and emotional well being improved. This post was the proverbial manna from heaven. Along with Richard Allington’s suggestion in Schools That Work for the principal to help facilitate the morning center, we had a possible answer to our problem. Some of our Title I funds were allocated to support two staff members two times a week to facilitate the after school book club for 4th and 5th graders. At the same time, I shifted the schedule of an English Language Learner aide so she would come in an hour earlier to catch the students in the morning. Even though all of this programming was to be hosted in the school library, we did purchase some high interest texts from a local book store. Total cost for this year-long program: Approximately $3000. So how have we reduced instruction and increased engagement? More of a variety of literacy resources are available. For example, students can listen to books on tape, practice their letters and writing using art supplies, and select any text they find interesting. In both the morning study center and after school book club, we strive to provide choice in books. Some guidance is provided by staff when they appear to have a tough time finding their next read. However, for the most part we stay out of the way. We have created an inviting, cozy environment to allow kids to chat with each other while reading their books. Whistle chairs, foam shaped like an upside down whistle and covered with a leather case, are an example of a purchase we made to help create this climate. Educators need to give kids permission to read, both with our words and our actions. 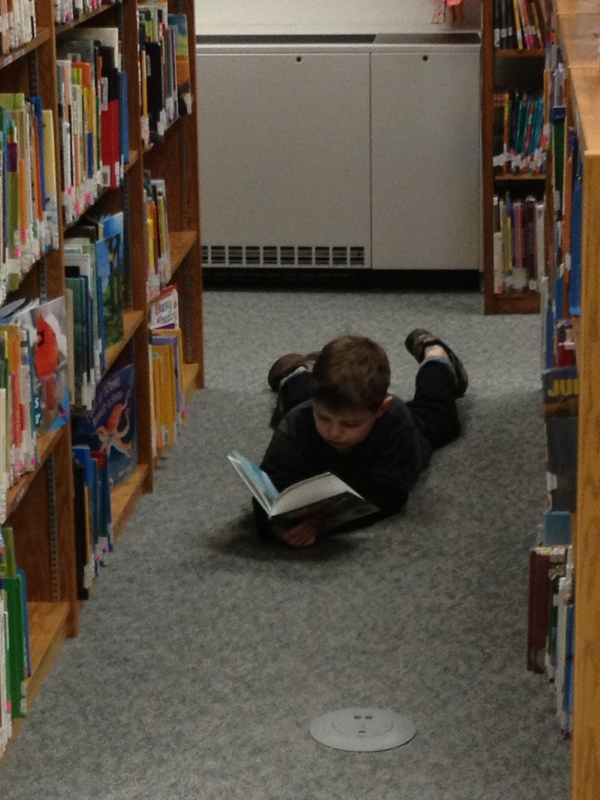 By doing this, we let them know that it is okay to just sit around and enjoy a book while at school. As well, they like writing book reviews on bookmark cards. They are propped on the front of the respective book and displayed on a designated table for others to check out. These students are now seen as readers and writers by their classmates. At this age, peers’ perceptions are students’ realities. One hiccup we have noticed is the inconsistent attendance of a few of our 4th and 5th graders after school. To address this, the staff and I have discussed ways to leverage technology to increase engagement. One idea is allowing students to connect on Edmodo. It is a safe social media tool for schools to share and discuss their learning. This would allow students to write their thoughts and questions about what they are reading for a broader audience, as well as read what others have posted. At a fraction of the previous year’s costs, we have developed a literacy intervention that engages students and has the potential to increase students’ reading abilities at a faster rate than prescribed programming. At the same time, departing from past practices is a scary proposition for us as educators. It means giving up the spotlight and allowing student learning to take center stage. Teachers and principals, myself included, sometimes think we can control student outcomes. This naturally leads us into trying to control the learning at times. Yet it is an open and curious mind that learns best. We can facilitate this mindset by increasing engagement in students through thoughtful instruction and sharing our enthusiasm for reading. And isn’t engagement the reason we read and learn anyway? Im looking to buy some of these whistle chairs but have been unable to locate a site for them do you have a record of the supplyer ? Hi Anthony. The whistle chairs were purchased thought Highsmith, which is now Demco out of Madison, WI. Previous Previous post: Should Kindergarten Teachers Use Guided Reading?